I'm looking forward to the Lumia 900 and the HTC One X as much as the next person, but two stories surfaced today suggesting that both phones are going to be delayed from their original scheduled launch dates. The only problem is that HTC nor Nokia nor AT&T ever set an official launch date in the first place. So, really, the phones aren't actually "delayed" at all. 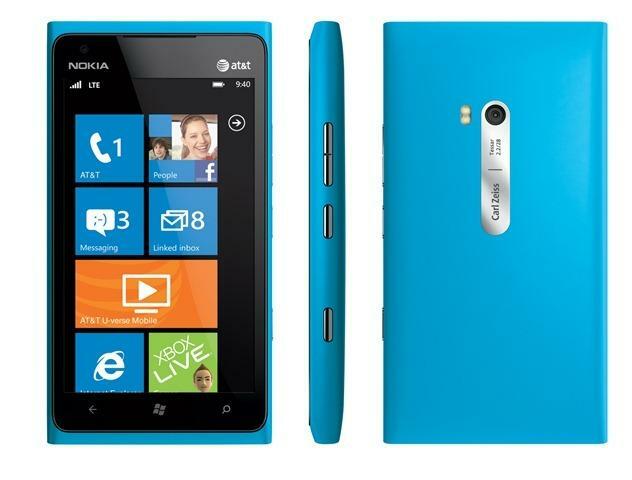 The original rumor suggested that AT&T's 4G LTE-packing Nokia Lumia 900 was going to launch on March 19th for $99. Nokia and AT&T both said during the Consumer Electronics Show that the phone would be available "in the coming months." That's it. That could have meant February, March, April, May, who knows. But it wasn't an official launch date. That's why it's a bit mind boggling to me that we would ever report on a story that broke again today that suggests the phone is "delayed" until April 22nd. How is it possible to have a "delay" when the phone's manufacturer and primary carrier never gave us the actual launch date in the first place? Without an official date the phone could still launch in March. Plans change, carriers bump phone launch dates all around, no doubt based on current market conditions, what phones are available and more. It's a business. For all we know the Lumia 900 was scheduled to launch on April 22nd originally. Or May 3rd, or May 29th. I'm, of course, just making those dates up. I consider a delay when a carrier or phone maker says that their phone will not ship on time as originally expected. That's it. But that's not my only issue with today's news. Because HTC just announced one of the most highly-talked about devices during Mobile World Congress. Usually, we won't see new phones from that show launch for several months. It's sort of a preview of what's to come, if you will. Today, a second report surfaced saying that TSMC, the alleged maker of the chips used for the phone, has halted production of its chips as of mid-February. So what? That's before the phone was even announced. We don't even have expectations yet as to when it will hit the market. Delayed? Not at all. Maybe TSMC hit a speed bump when it came to 28nm chip demand, but without a solid date provided by HTC already it's hard to believe that there's any delay at all. The One X will hit the market when it's ready, and that's good for consumers. We shouldn't be covering stories in a negative light, which ultimately might lead consumers to think there's something wrong with the phone, when there fundamentally isn't. Delays drive page views because a new phone builds anticipation and so any news about a desired device will gain sudden interest. But these phone's aren't delayed, folks. At least, not officially. The One X and the Lumia 900 will hit the market, and when they do, they'll be in the best shape possible. You should be happy about that.